This Li-Ning N7 II badminton racket comes in new colorways released in 2017. It was tailor-made badminton racquet for Zhang Nan in 2017 15th Australia badminton Sudiman Cup. With Turbo Charging technology from LiNing Ultra Sharp series, the racket is nice option for balanced (both offensive and defensive) badminton players. 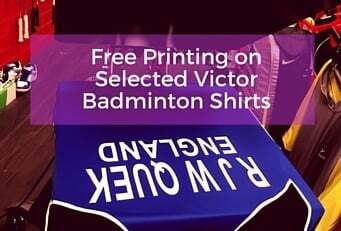 Thanks for shopping at Racketline. If you are not entirely satisfied with your purchase, we're here to help. All items must be returned in the condition it was shipped in and in a re-saleable condition. The Buyer is responsible for the return postage cost. Exchanges outside the UK will incur further delivery charges. The Buyer must fill in the attached form and send with the parcel. It is advised that you use a recorded method, so as to cover any potential loss in transit. We will endeavour to complete returns with in 7 working days. To cancel an order you have placed with Racketline, you must contact customer support by email (returns@racketline.co.uk) or by phone (10121 238 8954). Every effort will be made to accommodate the cancellation of your order as long as it has not yet shipped. When contacting customer support to cancel an order, please be ready to provide your name, the order number, and your contact information. Please note that if the item has shipped, the order cannot be cancelled. In this case, you can request to return the item for a refund (minus shipping costs). All orders are subject to product availability. If an item is not in stock at the time you place your order, we will notify you. An estimated delivery time will be provided to you once your order is placed. Delivery times are estimates and commence from the date of shipping, rather than the date of order. Delivery times are to be used as a guide only and are subject to the acceptance and approval of your order. Unless there are exceptional circumstances, we make every effort to fulfil your order within 10 business days of the date of your order. Business day means Monday to Friday, except holidays. Please note we do not ship on [Sundays]. Date of delivery may vary due to carrier shipping practices, delivery location, the method of delivery, and the items ordered. Products may also be delivered in separate shipments. Shipping costs are based on the weight of your order and the delivery method. To find out how much your order will cost, simply add the items you would like to purchase to your cart and proceed to the checkout page. Once at the checkout screen, shipping charges will be displayed. Additional shipping charges may apply to remote areas or for large or heavy items. You will be advised of any charges on the checkout page. Sales tax is charged according to the province or territory to which the item is shipped.